This unflinching account of one man’s descent into temporary madness is certain to move those who have ever felt at odds with the world around them. 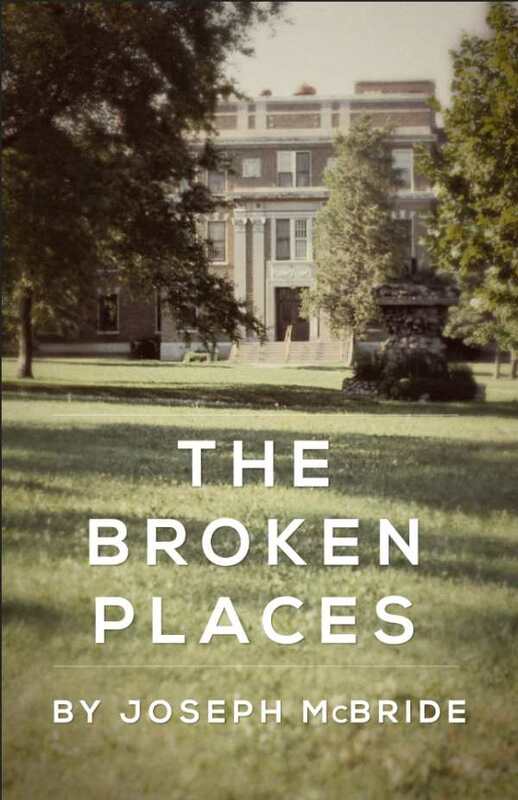 Joseph McBride’s The Broken Places is a brazen, revelatory, and disturbing memoir that follows the author through his troubled adolescence, from his tortured time in Catholic school to a transformative stay at a mental health facility. McBride was the eldest child of an unhappy Midwestern Catholic couple who struggled to keep up appearances while situations disintegrated at home. Pushed inward by his mother’s indifference and by discussions of sinfulness, McBride struggled to reconcile his desire for human connection with the cruelty of classmates and parents. Sexual curiosity graduated to dysfunctional behavior; fear of hellfire led to spiraling health and, eventually, a total mental breakdown. At seventeen, as a National Merit Scholar and following his interview for admission into Harvard, McBride was committed to a mental health facility in a “manic state,” and was marked with the tentative, then-common misdiagnosis of schizophrenia. His time at the hospital was an opening to recalibrate—and also to meet Kathy, a manic Native American girl constantly battling her inner demons. She became McBride’s first love, and the chaos she introduced into his life ended up being his pathway back to a structured existence. The book handles its subjects with brave matter-of-factness. McBride struggles through troubling questions of Catholic-school abuse—scenes with a sadistic nun are particularly harrowing—and misunderstood neurodevelopmental conditions. The book offers blunt but forgiving indictments of the educational system of the 1950s, which could not deal with autism-spectrum children sensitively, and of the mental health field of the era, wherein professionals seemed quick to dismiss those they did not understand as schizophrenic. The lucid, self-reflective nature of such chapters creates moving pathways into understanding the institutions and professions that tried, and failed, to help so many people in earlier decades. Those who have struggled with faith, with establishing interhuman connection, and with home lives directed by addiction will find much that is both familiar and heart-wrenching in these pages and descriptions. Accounts of manic behavior, on the part of both McBride and the alluring Kathy, make for upsetting but fascinating reading. McBride’s breakdown begins with obsessive sexual fascinations, and as he punishes his body into near-starvation, he also engages in relentless sessions of self-“pleasure.” Kathy’s own self-punishment takes on more drastic forms, and the beautiful girl he meets in the hallways of the hospital has arms already scarred with healed razor marks. Kathy comes to personify McBride’s inner struggle, embodying and turning back on him all of his sensuality and self-doubt. The young man’s inability to understand her mood swings leads to some of the memoir’s most painful and unresolvable scenes. As McBride stumbles toward a healthy adulthood in the last pages of his memoir, and as Kathy spirals away into oblivion, questions of privilege, mental health, and the social consequences of being different all loom. Brutally intimate language renders final scenes both naked and raw, certain to elicit both empathy and awareness that we must do better for those in need. The Broken Places is the unflinching account of one man’s descent from loneliness into temporary madness, and its searing revelations are certain to move all of those who have ever felt at odds with the world around them.